Simple, easy and handy are the three words which best describe the camera phones and with various apps in the Android market, the Android users can further qualify their camera phones to smart (and advanced) camera. Android market offers some outstanding and excellent apps for serious photographers as well. Apart from photo-editing apps and filters & effects, there are apps which help you in experimenting with the tricky rules of photography. Here are 10 handpicked apps for photography enthusiasts, to help them explore the possibilities with the smart camera phones. Adobe Photoshop Express: Photoshop being an all time favorite and power packed photo-editor makes way for mobile phones with Adobe Photoshop Express. Now you can edit and share photos virtually anywhere by accessing all your photos and videos directly from your free Photoshop.com account. Picsin Photo Studio: Picsin Photo Studio is an awesome image editor with in-built features for creating public galleries and social sharing. PicSay- Photo Editor: Besides Photoshop Express, PicSay is a powerful photo editor. PicSay enables you to color-correct your pictures and add word balloons, titles, graphics, and effects like distortion; all in a fun, intuitive and easy-to-use interface. Camera Illusion: Camera illusion is a camera application that lets you process photos in real-time. It enables you to preview and take amazing pictures by combining filters, effects and masks. You can choose from around 16 filters and 13 effects to give a twist to your photographs. Camera 360 Ultimate: This nifty app turns your phone into a professional camera. It provides LOMO, HDR, axis shift, draft, ghost, etc. and multiple styles to make photography fun and a serious stuff both at the same time. Tune in the desired style (tilt-shift, color-shift, funny, normal, etc), select your favorite effect and get ready to experience ease pf making good photographs with your camera phone. Camera Zoom FX: Camera Zoom FX claims to be the most advanced camera for Android. 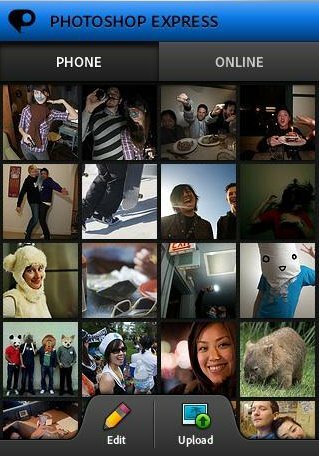 Along with several effects and filters, the app also features the composition guidelines and options for launching picture gallery, making the camera phone a full-fledged pro-camera. Photo Tools: Photo tools is an amazing application for serious photographers. It provides a host of tools for making calculations to result in the perfect shot. 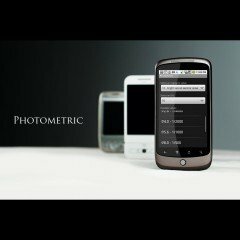 It is an awesome collection of photography tools; field of view calculator, minimal shutter-speed calculator, exposure reciprocation calculator, sunny 16, color temperature chart, grid overlay camera, etc being some of the most useful ones. PHOforPHO: PHOforPHO is another set of free tools for serious photographers. The app is provides several handy tools which help in improving as a professional photographer. 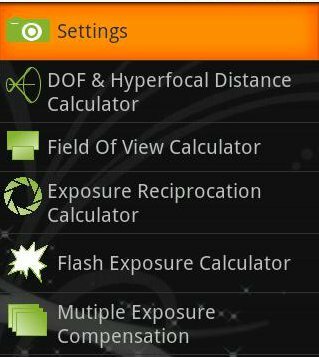 Exposure calculator, DOF calculator, hyperfocal calculator and integration with Catch for notes are some of tools this app offers in its toolkit. Picasa Tool: Picasa Tool Pro helps you to manage your Picasa web albums with simple yet powerful user interface designed specifically for Android powered smartphone. You can browse, upload and manage your albums, photos with the tool on your phone. 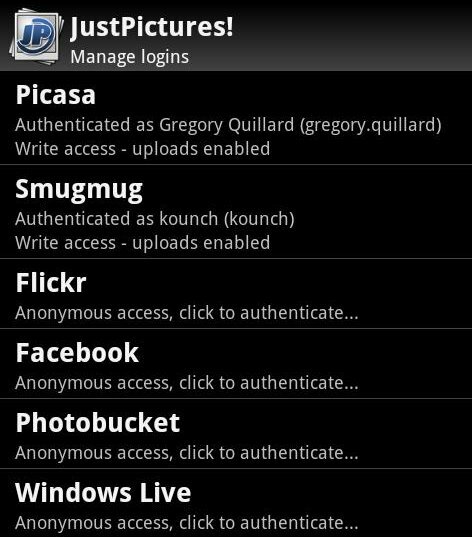 Also there are options for Flickr users as well, Flickr Companion being one of the most Flickr client for Android devices. JustPictures: JustPictures is about browsing and uploading photos from photo sharing sites and local storage. It enables you to browse photos from Picasa, Flickr, Smugmug, Facebook, Photobucket, Windows Live, Tumblr, Deviant Art, Imgur and your SDCARD through a unified and clean UI. Which is your favorite photography app? Check out also Map-A-Pic, a location scouting app for photographers. https://market.android.com/details?id=com.seatosoftware.mapapic.